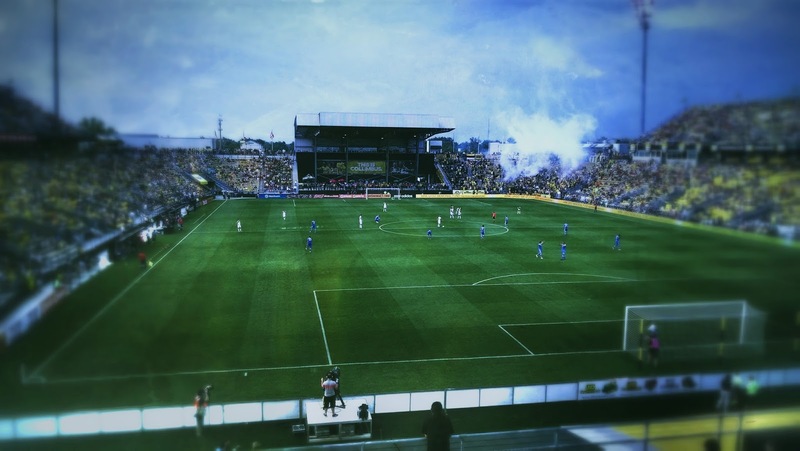 The Columbus Crew got that win they were looking for last night, defeating last place Montreal Impact. Bernardo Anor's two goals along with a handful of key saves from Steve Clark were the difference in this one. I paid to watch this one with my lady friend because the the Time Warner Sports Channel cameras were getting difficult to deal with (couldn't tell the flip-all goings on). Too close and the commentary... too much, I don't know... Hunt Sports (and 90s soccer)? Never been a fan of the TV product here in town because the real live-in-person-deal has always been so good. The Crew might not have the right market but they've got the gameday thing down. People in Columbus love soccer. They have since I've been here anyway. It's the sales pitch that's gone all wrong. ONN, FSO, Time Warner... none of them have been able to capitalize on a good crowd at the leagues oldest. Maybe the new guy(s) should look at that. Good win for Berhalter and company.